The tanning Industry is considered to be a major source of pollution and tannery wastewater in particular is a potential environmental concern. Wastewaters produced by tanneries contain high concentration of inorganic and organic pollutant. The pollutants of concern within the tanning industry include Azodyes, Cadmium compounds, Cobalt, Copper, Antimony, Barium, Lead, Selenium, Mercury, Zinc, Arsenic, Polychlorinated Biphyenls (PCB), Nickel, Formaldehyde resins, and Pesticides residues. Because tannery wastewater contains a complexity of pollutants including chromium and chlorinated phenols as indicated earlier, it is vital to dissect the toxic nature of such wastewater both to understand its environmental impacts and identify potential remediation strategies. Furthermore, there are strict regulations imposed for the environmental control of pollutants such as heavy metals and persistent organic pollutants. In this chapter, the authors discuss the demethylation process of Arsenic and Nickel from Tannery Effluent. Globally environmental pollution is now days a big challenge, due to the usage of huge amount of chemicals and discharge of untreated industrial effluents into the water bodies. Heavy metals which are used in the various industries or produced as by-products like mining industries becoming the major challenge due to their persistent nature in the environment (Duruibe et al., 2007; Khan et al., 2008). Effluents from chromium-based industries are mostly becoming source of pollution of ground water and surface water creating the scarcity of safe drinking water in most of the countries (Gadgil, 1998; Urbansky & Schock, 1999). In the developing countries like India, most of the rural and urban areas utilize ground water as the first priority. However, since 2-3 decades, the safety of drinking water has been affected due to the untreated discharge of wastewater containing toxic heavy metals from the industries (Chatterjee et al., 1995; Chowdhury et al., 2000). Globally, effluents from tannery and metal plating industries containing chromium metal pose severe cause of pollution of water (Akbal & Camcı, 2011; Owlad et al., 2009). Wastewaters containing heavy metals are hazardous to the nature which indeed affects organism’s habitats. 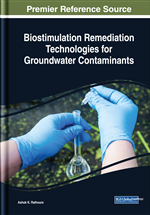 Bioremediation treatment of wastewaters by using microorganism or in consortium can be applied to remove the hazardous metals. Bioremediation approach can be used without affecting environment over the conventional process. Bioremediation of chromium is vital, because it is released from many industries and also it is present in various forms of oxidation states. Cr (III) is naturally available in the environment which acts as a vital nutrient element to organisms; however Cr (VI) acts as a carcinogen to humans in addition to kidney and liver damages. So to prevent these effects, Cr (VI) must be significantly converted to Cr (III) (Lytle et al., 1998; Zhitkovich, 2005).